It’s not the healthiest pastime, but there you are in front of the mirror looking at the wrinkles on your face. You see crow’s feet. You see the 11s between your brows. You see smile and marionette lines. You see barcode lines on your lips. And it doesn’t really cross your mind that there are different kinds of wrinkles. You’ve seen one ugly wrinkle, you’ve seen them all, right? Well, there are actually two different types of wrinkles, and treating them with injectables varies by the type. “Static” wrinkles are on display at all times. They are simply the result of your skin becoming less elastic and the underlying support proteins decreasing as we age. Our intense Georgia sun helps produce static wrinkles. Laugh lines, lines under your eyes, and the vertical wrinkles around your mouth are all static wrinkles. Unlike static wrinkles, “dynamic” wrinkles are the result of certain behaviors/expressions that engage certain muscles. When we do things such as frowning or squinting these muscles contract, and the skin above them forms a wrinkle. Crow’s feet, the 11s, and most forehead lines are dynamic wrinkles. Botox is king of the dynamic wrinkle. 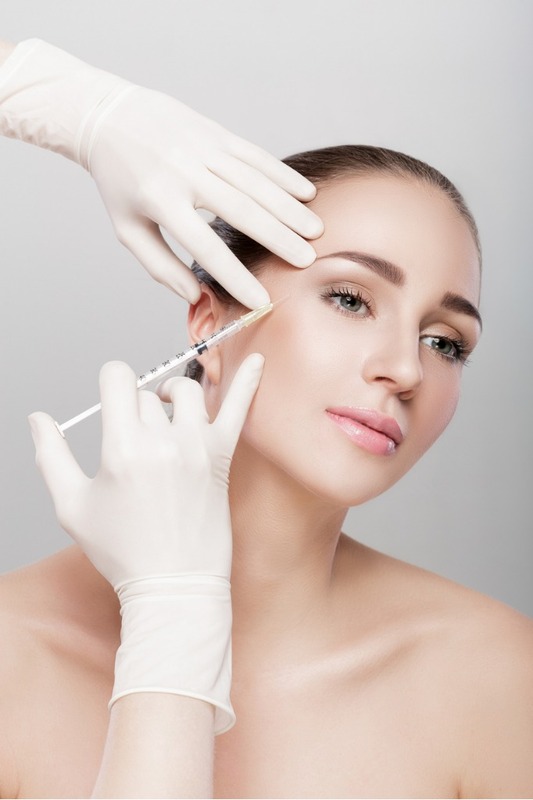 Botox is made from the botulinum toxin type A, the same bacteria responsible for botulism, which is deadly. But back in the 1950s scientists discovered that if you inject very small amounts of the botulinum toxin type A into a muscle it keeps that muscle from contracting for a period of time. It does this by blocking the messages sent by the nerves in the muscle to the brain. If the brain doesn’t receive the message to contract the muscle, the muscle won’t contract. And in the case of muscles that form wrinkles such as crow’s feet or the 11s between your brows, now the wrinkle on the surface above the muscle won’t form. Unlike fillers, which “fill” in the wrinkle, Botox results are not instant. Instead, Botox must go to work blocking the muscle contraction. This takes usually from one to three days to fully take hold. Because Botox only works on dynamic wrinkles, Dr. Robinson and Dr. Snodgrass don’t use it everywhere. Botox is very effective in removing crow’s feet, frown lines, and the 11s (the vertical lines between the brows). Basically, you think of using Botox for the upper third of the face, the expressive area of the face. You can feel these muscles engage if you make a frown or squint. A Botox session at Snodgrass& Robinson only takes around 10 minutes. Botox is injected with a tiny needle. Most people say, due to the small needle employed, Botox injections feel like a light pinch. If desired, treatment areas can be iced beforehand to reduce any discomfort, but that’s not usually necessary. Botox keeps your frown lines and crow’s feet at bay for up to four months. After that time, the body absorbs the now-harmless ingredients and the muscles begin contracting again. To maintain your results, another Botox session will be necessary. Want to say goodbye to your crow’s feet? Call us at Snodgrass & Robinson, (706) 378-0200, and ask about Botox.